How many times we talked about quick quality sketches? 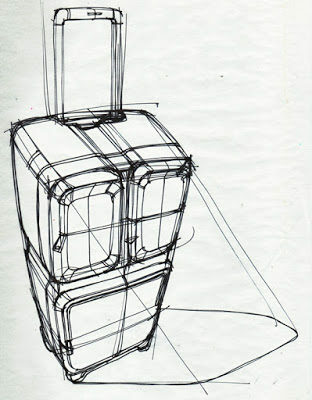 Many times, we said also that quick sketching is very usefull for training, for your sketchbook, for your portfolio. 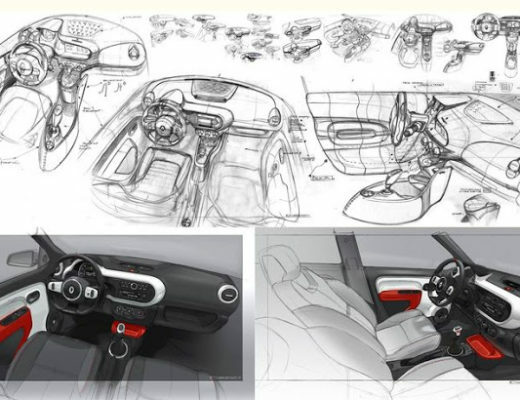 Sketching cars is a matter of talent, passion and skills. Here a good example by Akos Szaz who I had the pleasure to meet some time ago and see his great works and portfolio. 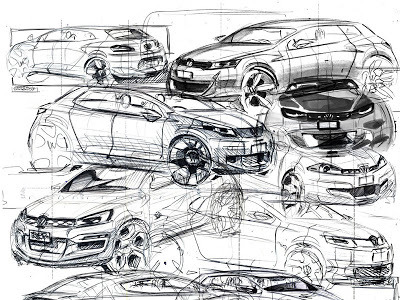 In this VW research sketch we admire drawing skills, linework and line quality, look at the overall composition, the choice of black and white color is good because of a crowded composition, very good focal point on the upper right corner (a bit of grey markers of different tones to give depth), very smart to draw the side body sections to explane better the volumes of each sketch, and last but not the least the different designs of front end on each sketch (good variety).